By the J. Hudson Factory. 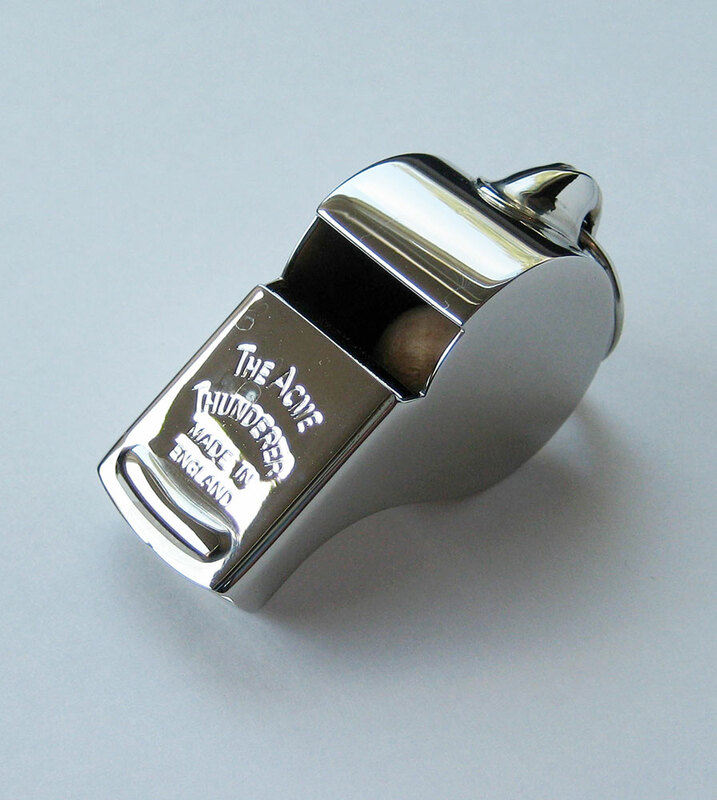 There is not a sports referee that walks out on the field without an Acme Thunderer. Hang on your keychain or neck for security.